Either you get on the social media bus, or you get left behind. As an exec, you need to have a presence and understand it, but not necessarily embrace it and lead with it. Answer the questions below to find out your social media savvy score, and consider what you can do to improve it. I have a LinkedIn profile with a recent picture. I update my LinkedIn profile on occasion. I show examples of work I’ve done on my LinkedIn profile. 2. Give yourself one point for each social media tools where you have an account. 3. 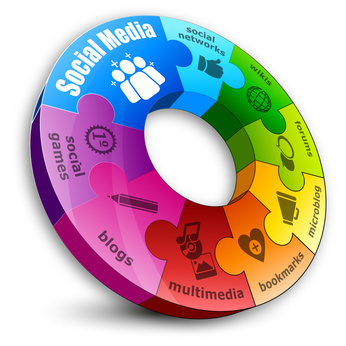 Give yourself a point for each time your social media profile is integrated with your identity. My signature has links to my social media profiles. My social media profiles are inter-connected. When I update a communication, multiple social media networks know about it. I post regularly to my blog. I integrate my blog messages with my other communications. I directly or indirectly manage and create our corporate content. I follow influencers on leadership topics. I follow influencers on technical topics. I follow influencers on market trends. I proactively share my blog. I forward influencers’ views on trends to my networks. I compile and gather information about market trends and share it with my network. I have more than 50 connections on my LinkedIn profile. I have a following of more than 10 people following my blog. I forward information on trends to my network. I curate information on topics of interest to me and my community. I use my LinkedIn network to keep updated with the people in my network. I use directories like LinkSV to find the movers and shakers in the community who may be good connections for me. I respond to the inquiries from my LinkedIn network. I ask for introductions through my connections. I make a distinction between personal and professional posts. I use social media tools differently, based on whether they are more for business or more for personal communication. I’m selective about who gets invited into which social media community. I filter out posts which some may consider too personal or inappropriate. I am conscious of my profile and content and careful about how I message all to my social networks. I proactively create content and follow key influencers. I forward information regularly to my social media network. 1-10: Nobody told you there was a bus. You need to show up or you will be left behind! 11-20: You know that there’s a bus, but you don’t know why you should get on it, or where it will take you. 21-30: You showed up at the bus stop, you get on the bus, you’re clear on who you are, but hardly anyone knows about it. 31+: You showed up at the bus stop, you get on the bus, you’re clear on who you are, many of the right people know about you. But you, like everyone else, are a work in progress. This entry was posted on January 24, 2014 at 11:55 pm and is filed under Leadership. You can follow any responses to this entry through the RSS 2.0 feed. Both comments and pings are currently closed.